Mechinat Lachish offers graduates of religious and secular high schools the opportunity to postpone Army recruitment and, in turn, dedicate a year of their lives to learning, as well as working the land, to social activism and preparation for military service. Mechinat Lachish is a "beit midrash" that creates and presents multiple and varied opinions and encourages its students to carefully consider and observe each and every idea that they encounter. The purpose of the mechina is to foster the development of socially responsible and well-educated young leaders who are connected to the world and take action to change it. Through the educational framework of the mechina, students grow into tolerant, trusting, educated, loving and empathic young adults who respect themselves and each other. 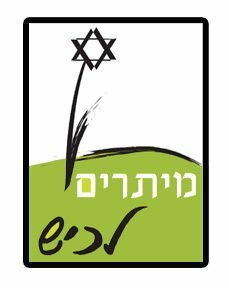 The educational and social experiences of Mechinat Lachish promote personal and social responsibility. The beit midrash integrates age-old traditions and new innovate ideas, Jewish society and global culture, Jewish studies and secular studies, internal awareness and group dynamics. In addition to academic studies, the program engages students in creativity and ecology. Studies in the mechina revolve around freedom and tolerance and serve to create a deep dialogue across a wide spectrum of Jewish identities. The discourse and studies do not breakdown or blur students’ identities, but rather, they enable the development of a shared cultural language for tolerance between Jewish worlds. The mechina tries to help students create their own Jewish-Israeli-Zionist identities through experiences and interactions with the Jewish world, Israeli society and the land of Israel.